Just when you thought this week couldn’t get any more celebratory – I mean, celebrating Jen and Jane is a pretty killer start, no? – today also marks our 500th celebrity catch-up. Yes … five freaking hundred. 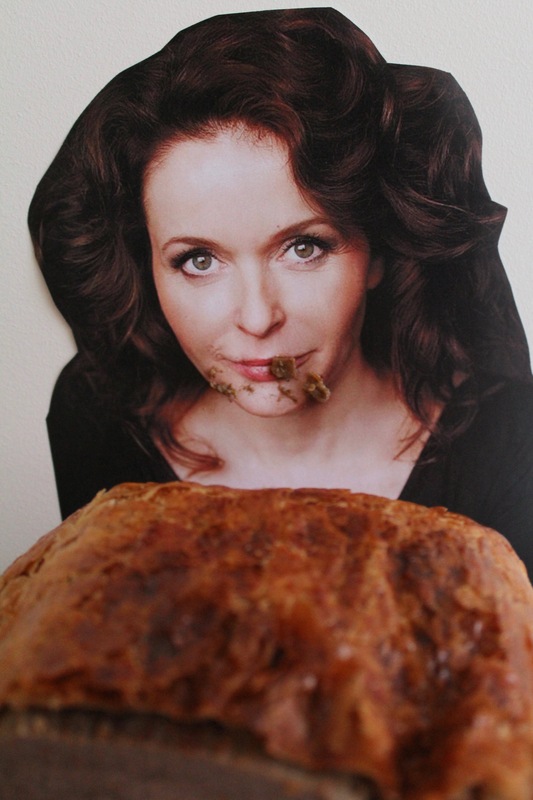 And my dear friend Julia Sawalha is more than worthy of helping my mark this milestone. While I only met Jules when she came in to audition for Ab Fab, I knew that she was destined for great things. One day on set she casually mentioned that she was up for the role of Lydia Bennett – in the good not Knightley version of P&P – and as a fan of the work, and a famed period acting and dialect coach, I offered up my services to help her snag the role slash steal the show. Which I think you could agree, I was more than successful at that. As seems to be a running theme of growing older, Jules and I aren’t able to catch-up as often as we like so she was thrilled to not only take the time out to honour Ab Fab … but also become our 500th date in the process. “Ben, I don’t know if I’m worthy of being a milestone date. I mean, I’m no Skarsy, Solange, Meg, Kanye, CeCe – no, I am better than a Survivor that didn’t make the jury – Mischa, Nat Imbrugs, Lin Manuel. Let’s not talk about Purple Ben from this season of Australian Survivor. “In any event, I’m somewhat worthy of your honour but would like some reassurance,” she coyly admitted. Half way through quoting the now iconic Aja, she accepted the honour and we got to work reconnecting, celebrating and chowing down on a big fat piece of meat. In the form of my Beef Julia Sawallington. There is nothing I love more than a big piece of meat. Well, unless it is wrapped in a nice, puffy dough. That is something I’ll never be able to go past. Like Jules or the good version of P&P. Bring a frying pan to heat over a high … heat while you rub the beef fillet with salt, pepper and a good ol’ lug of olive oil. Add another lug to the pan with a knob of butter and a sprig of rosemary, and sear the beef for a couple of minutes on each side. Remove from the pan to rest while we get to work on the rest. Add the onion and garlic to the still hot pan and sweat for a minute or two. Add the mushrooms with another knob of butter, rosemary and thyme, reduce heat to low and cook for about twenty minutes, or until they’re nice and soft. Remove from the heat, stir through the pate and leave to cool. 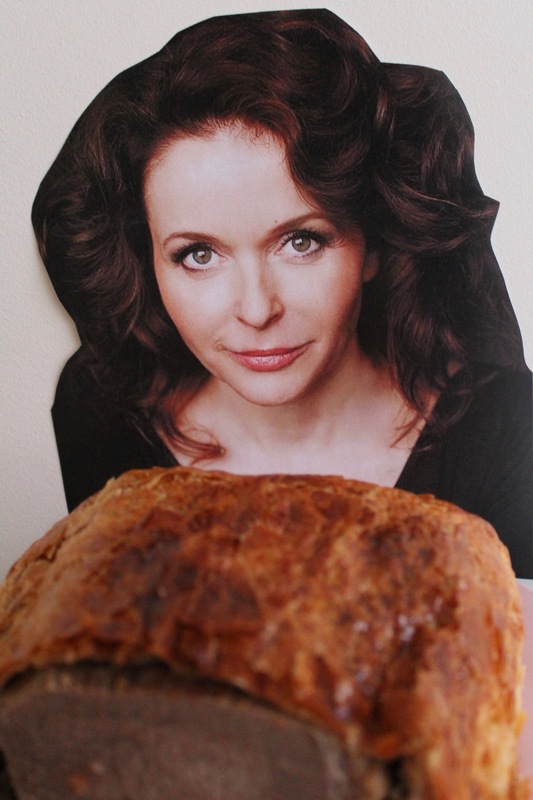 Place a sheet of pastry on the bench and the second next to it with a two centimetre overlap. Press them together, smear the pate/mushroom mixture over the middle, top with the fillet and roll and/or fold the pastry to enclose. Transfer to a lined baking sheet, transfer to the oven and bake for 40 minutes, or until cooked and blushing like a whore in church. Aka Kiwi hero slash Australian drunk Barnaby Joyce. Rest for 5 minutes before serving in with gravy and mash. Then, obvi, devour.